Contempo is where to buy and get the best deals on Slim Fit Suits to match your Stacy Adams Shoes and designer style extra slim fitted suits for young men are extra slim fitting style suits also known in certain circles as a skinny fit suit. Made to go perfect with Slim Fit Dress Shirts. They are an authentic nod to the style of suit that you would see fashionable young men during the early sixties wearing breaking out from conformity. The Italian style slim fit suit is the new fashion style that are designed in Italy for the fashion minded young man who likes tailored fitted suits. 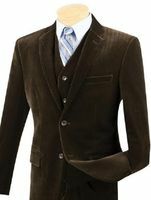 These highly tailored fitted suits that you can buy with Italian design have a slim and skinny look that the young man prefers to buy and are modern style slim suits that have extra narrow style fitted lapels with a retro look and fit from the 1960s that are just what the Fashion Doctor ordered for Young Men. Some even feature a Dinner Jacket look for a unique twist. You will see world famous young minded Celebrities like soccer star David Beckham wearing nothing but extra slim fit suits that enhance their trim physique which is in favor. With our huge selection, it is extremely easy to get the the best deals that you can buy on the slim fit suit you're shopping online for. Find the Prom Suit that you need here. If you like your slim fit suits to have a vest for proper 3 piece finished look, why not try some of these great looking tailored 3 piece slim fit suits that come in all sorts of fabrics and textured all in that slim fit that You crave and want to be seen wearing. Extra slim fit suits are slim fit suits that are even tighter fitting than basic slim fit suits. These extra slim fit suits are designed to literally fit like a glove and are recommended for slim physique men only for a perfect fit. The jackets are both slimmer and tighter as well as the pants. Statement slim fit suits are not only designed in Italy but are made of fine Italian wool fabric that belies the fine quality that you'll find in every Statement slim fit suit. These slim fit suits have the fit and style that makes them look like you spent more than twice the amount on them. Size 40L and 42 Short only Look like you stepped out of the 1960s when the crowd sees you in this black slim fit suit by Demantie. Finish off your slim fit suit with some stylish shoes and be the man for the evening. Make an impression work every time with slim fit suits like this shiny gold color 1 button style. Featuring a slim fit jacket and slim fit pants, this is the style of suit that will make your image a lasting one. Make style happen with slim fit suits that are ready for the Club. Black slim fit suits are the perfect choice for Club night. slim fit suits Show the party people that you know and have style. slim fit suits in navy with tan color monk strap shoes and you're in. Introduce yourself to the world of tighter fitting 2 piece slim fit suits in this shiny blue 2 button fitted suit with flat front pants. Get with the Modern scene and dress like the Celebrity You want to be. 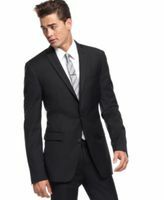 If you are looking for a two button slim fitting mens suit that is shiny, you just can't go wrong with these Vinci single breasted slim fit two button suits on sale made of shiny sharkskin fabric. Get elegant and stylish in one fell swoop with this eye catching shiny black 2 button slim fit suit with flat front pants. Slim fit Suits are Tailored to Fit Like a Glove Like it was Made for You. This shiny black slim fit suit will have you in the spotlight with how good it looks on you. Our young men style cheap Slim fit suits are really recreations of a 1960s fitted suit style that has the same dimensions and look for purchase. Lucky for you, Contempo is where to buy them here cheap and get the deal you're looking for. Our cheap priced slim fitted style Suits are Single Breasted Suits with Flat Front Pants but can be double breasted as well. The Slim Fit Suit has Italian style that exploded onto the scene thanks to Young Hollywood Celebrities who portray fashion and style. When it comes to fashion trends like Italian design, one thing never changes. Styles end up coming back again for purchase. 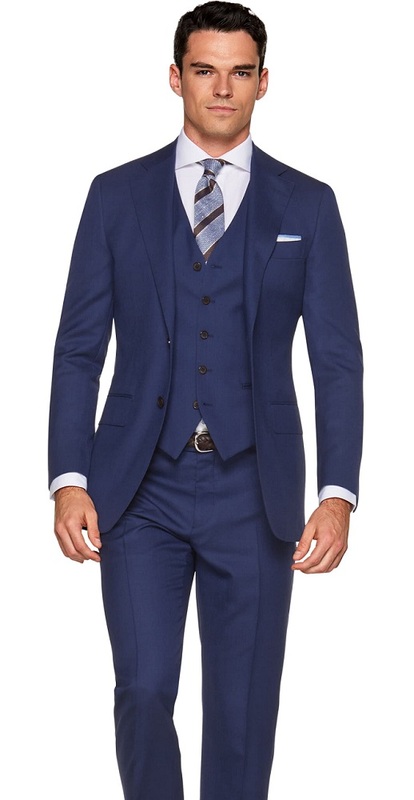 The highly tailored tighter fitting style slim fit suit are a huge trend these days among the younger Men who are relatively skinny or trim in stature and haven't gotten out of shape and need suits that are fitted young style. Getting the best deal on a slim fit suit has never been simpler. For the under 30 young crowd, the tighter looking slim fit suit is exactly what a cutting edge celebrity like Justin Timberlake would be seen making an appearance in. For a complete look you can hook them up with our Slim Fit Dress Shirts as well for a complete look. When you buy these slim style fitted suits you'll find a modern style cut suit that simply hugs your torso in a way that a classic style suit can not without hundreds of dollars of tailoring that would need to be done to it to achieve the same results because they are designed in Italy. The younger man may not realize that these are a 1960s style designed in Italy because of the way they look with the skinny lapels. Although men suit styles never come back exactly as they were, they do come back. One of those Men fashion trends that have come back are Silky Shiny sharkskin fabric look. A slim fit suit is just as the name implies. You take your basic two button single breasted jacket, narrow the lapels a bit and closely tailor the fit of the jacket to the torso,narrow the sleeves and then take up the length of the jacket an inch or so producing a very trim and tailored look with flat front pants that looks like it was tailored for the Man without any extra tailoring done to it giving you the modern look you were searching for. Pair it up with a pair of matching flat front pants with a tighter fit and you get the idea. You will see that we provide styles at cheap prices to buy that are both made of shiny fabric and ones that are not shiny and fine to wear to work giving you a choice as to where you want to wear it. When you want a deal on a slim fit suit, Contempo is where you find them.